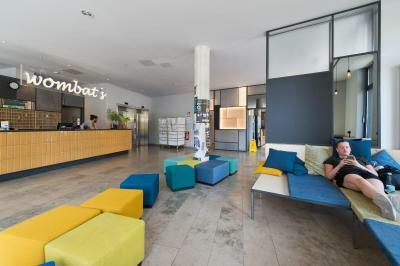 Lock in a great price for wombat´s CITY Hostel - Berlin – rated 8.7 by recent guests! 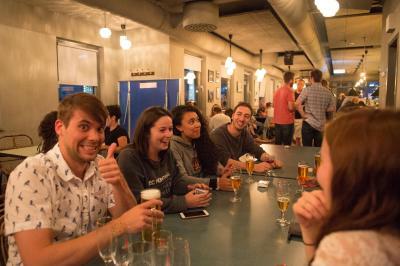 This hostel works pretty well! 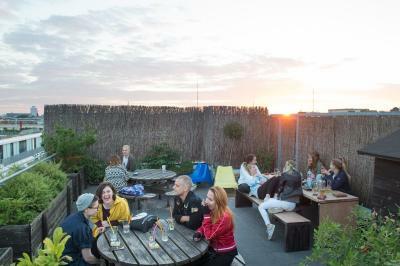 Very good location; worth pay for the breakfast (it's really complete); comfortable beds, good individual security lock system, very good facilities; nice to stay at the roof pub at night and its view is awesome. The hostel is amazing! Loved my stay there. 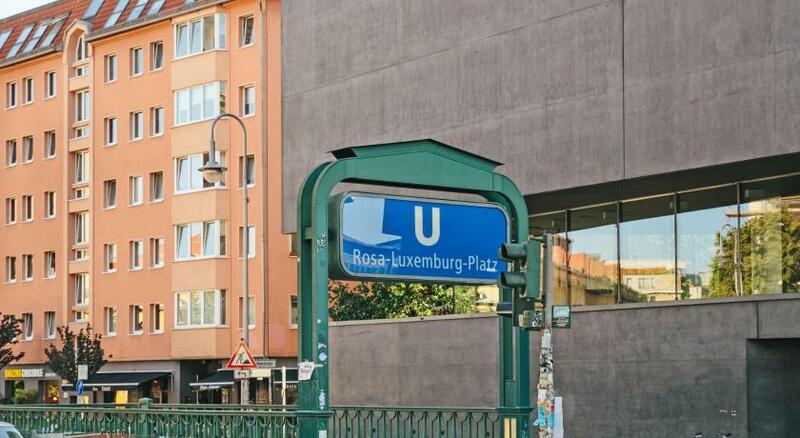 It’s pretty close to the subway and tram station. Nice breakfast. Clean rooms. this hostel is near metro. staff is very friendly. i was here before. 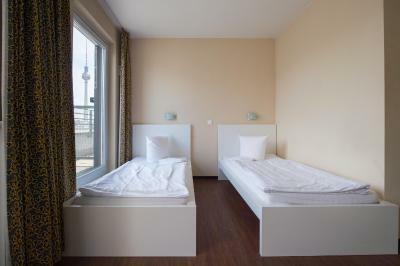 Their bathroom is very clean and the bed is very comfortable. 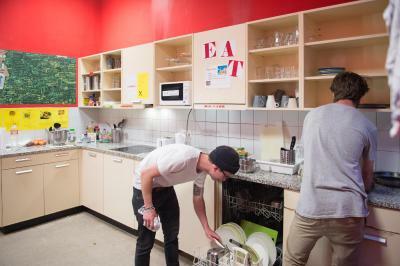 They also provide a kitchen for cooking stuff. 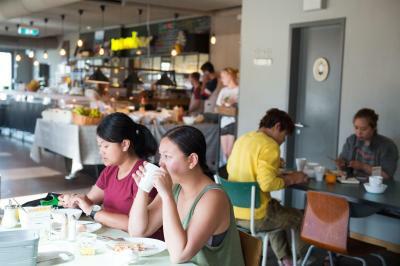 Plus you can pay only 4.90 euro for breakfast which is very cheap. The place is amazing! 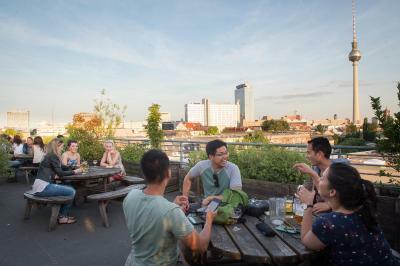 Incredible rooftop, great bar with great prices, staff is really nice, room is confortable. They give you a tailored map of the city, plus free walking tours, and can lent you a towel, charger adapter, so on. Really wonderful! 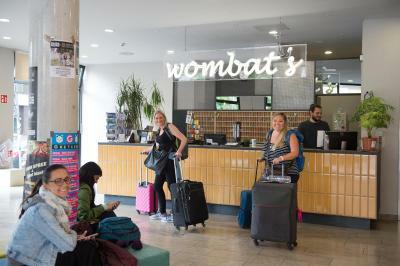 Wombat City hostel is a nice place. 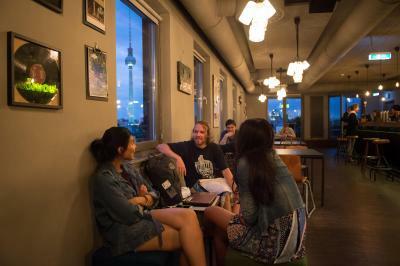 It is centrally located, maybe 1 minute from subway station and they have even their own pub at the rooftop. 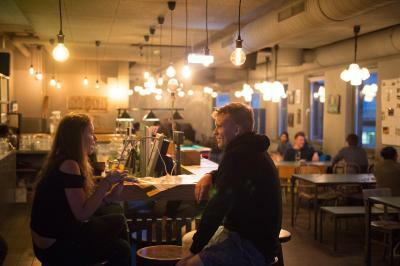 The reception is huge and there are some big sofas where you can just chill and talk to other guests (very convenient when you have nothing to do and your train only leaves in 4 hours). 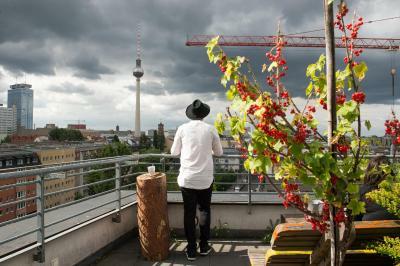 If you don't mind walking, you can reach Museum Island in maybe 20-30 minutes and several other major atractions. Staff is international so odds are you can find someone who speaks your language. 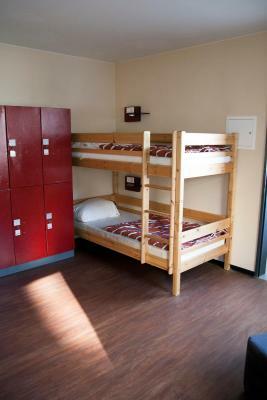 The room that we stay is spacious for 6 adult. 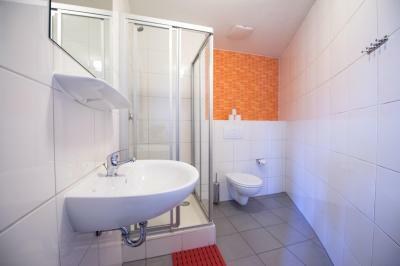 There is a bathroom inside the room. 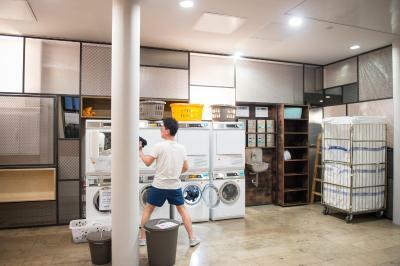 The staff was incredibly friendly, the lockers were convenient and the location was great. This was my first solo trip and also my first stay at a hostel. It exceeded my expectations. Loved the daily cleaning schedule, key card lockers, friendliness of staff members and most important was that I felt safe. 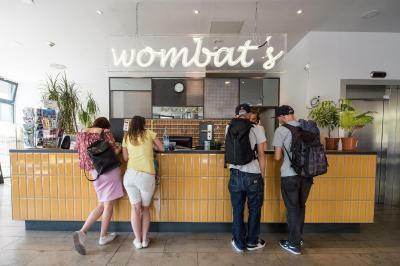 wombat´s CITY Hostel - Berlin This rating is a reflection of how the property compares to the industry standard when it comes to price, facilities and services available. It's based on a self-evaluation by the property. Use this rating to help choose your stay! 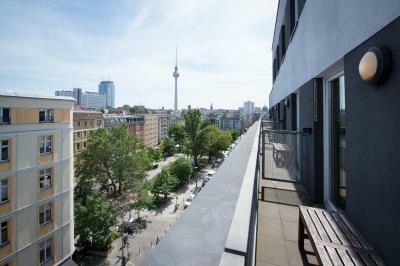 뀐 Located in the real heart of Berlin, this property has an excellent location score of 9.2! 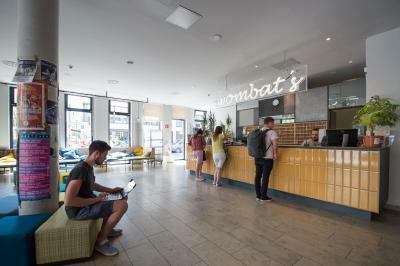 When would you like to stay at wombat´s CITY Hostel - Berlin? 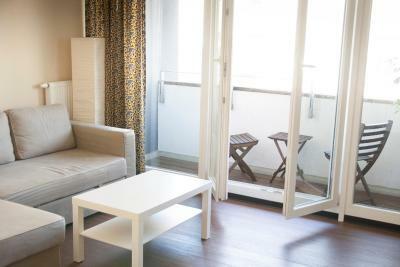 This apartment offers a living room, separate bedroom, kitchen, bathroom and small balcony or terrace. There is a sofa bed in the room. Upon request and for a fee, 2 additional people can sleep on the sofa bed. Confirmation is needed from the property. 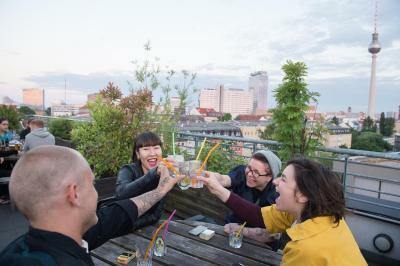 House Rules wombat´s CITY Hostel - Berlin takes special requests – add in the next step! 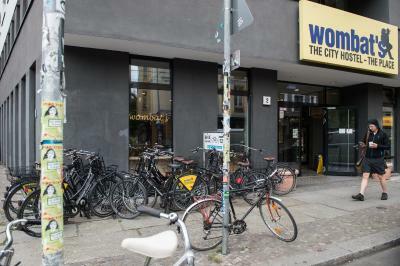 wombat´s CITY Hostel - Berlin accepts these cards and reserves the right to temporarily hold an amount prior to arrival. It was really lovely. The bathrooms were really clean, at least the ones I used. 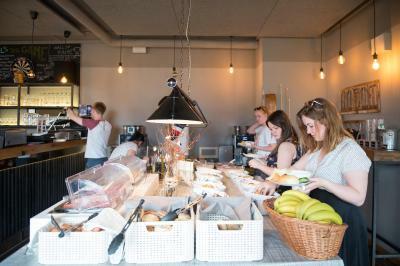 You also get breakfast (for a small fee) but then the general atmosphere was great. Stuff was super friendly. Location was perfect ! 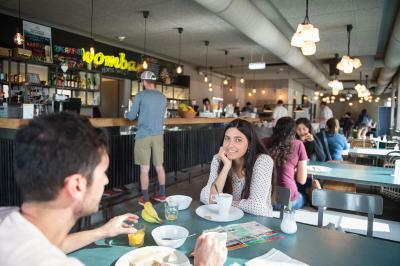 I really loved that hostel! Everything was awesome. 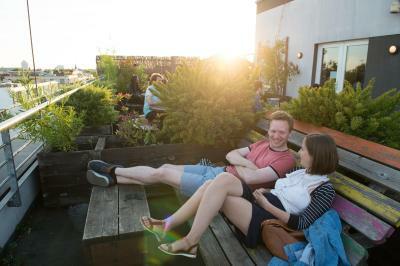 Good location, great view from rooftop bar. The room was clean. And you can ask for a towel or hairdryer at the reception - it's free. Turned out that there were no snacks for beer in the bar. Easily reachable by foot and located not so far from the center. 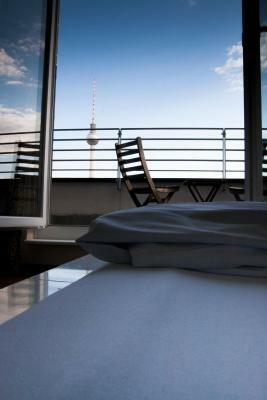 Also you have a perfect view from the roof top. Breakfast is fine. Friendly staff. 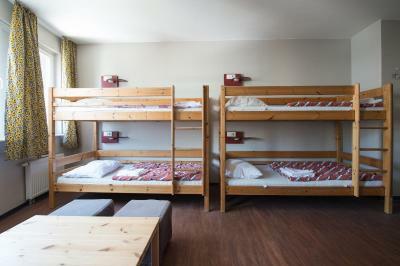 The hostel was great. 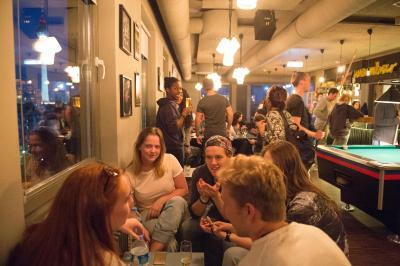 It had a nice bar on the rooftop, rooms were clean and spacious. Had everything i needed: locker, light and charger next to the bed. The breakfast option was also very convenient. Would definitely stay again! Some extra toilets went to maintenance during our stay. At least for a 6 bed room with private bathroom was a bit uncomfortable wait others or try the roof toilets. I feel that a full english fry should be on the menu for breakfast. Location is amazing close to the most important spot places in town. 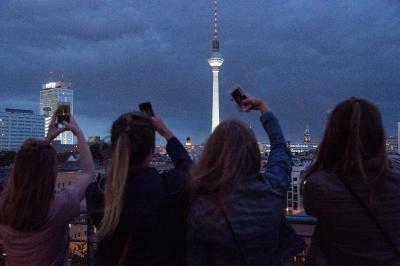 In addition, the rooftop has an amazing view. 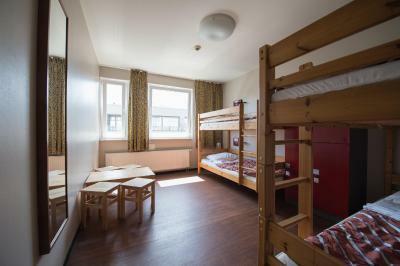 Good standard of hostel. 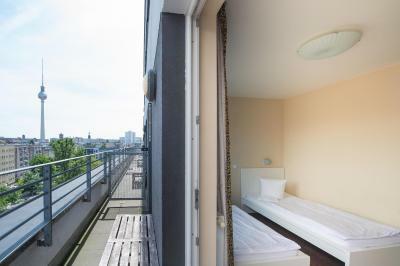 Clean, convenient and fairly close to stations. Cannot fault. Only grumble is the loud guys in my room - not anything to do with the hostel though. Staffs are attentive and helpful. Location of Wombat Berlin is Great! It’s a little bit far from the main parties and bars. 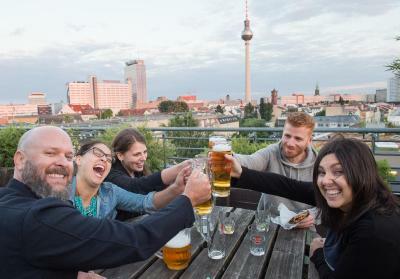 There is no activities for travelers, only the free walking tour, so is not that easy to make friends there.